If you can afford your regular mortgage payment, as well as a monthly Chapter 13 debt reorganization payment, you may be able to save your home from foreclosure. At the law office of James D. Jackman, our lawyers have focused 27 years exclusively on providing bankruptcy representation. 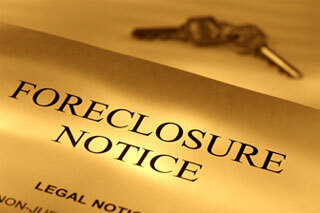 Our law office understands that losing a home to foreclosure can be devastating. We devote necessary time, talent and resources to helping our clients stop foreclosures. Filing for Chapter 7 or Chapter 13 activates the automatic stay. Depending on your situation, filing can help postpone the trustee sale, providing you time to catch up on arrears through Chapter 13. In addition to placing mortgage arrears into your Chapter 13 repayment plan to prevent foreclosure, you may also be able to remove a second consensual mortgage. It is important to note that even if your house goes through foreclosure, you could still be stuck with your second mortgage. Our attorney can evaluate your situation from every angle to help you appropriately handle your second mortgage obligation.